Hurricane Harvey dropped unfathomable amounts of rainwater on Houston and southern Texas from August 25–30, 2017. The potent category 4 hurricane and long-lived tropical storm also churned up the Gulf of Mexico with its winds and storm surges, dispersing warm surface water and mixing up cooler water from the depths. 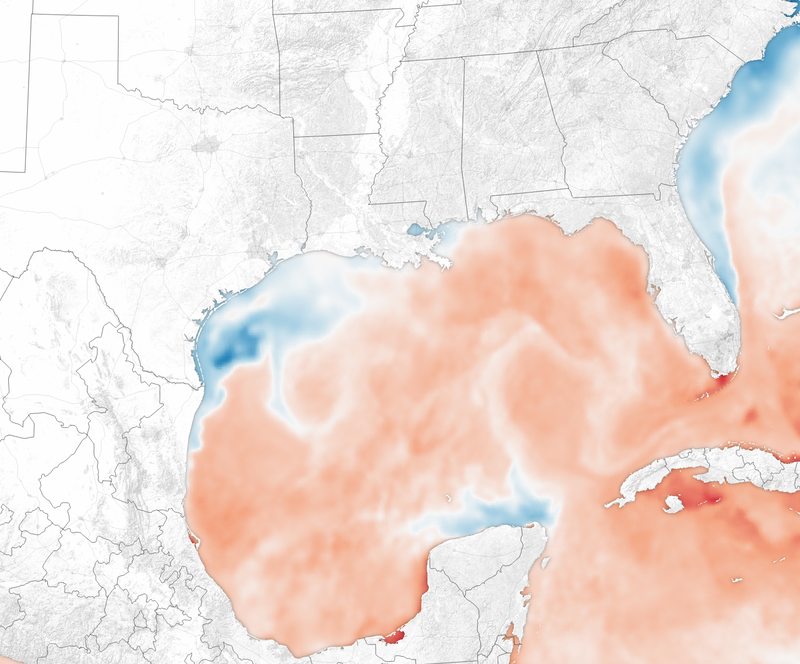 All of that falling fresh water and ocean mixing had the combined effect of drastically cooling off the surface waters in the Gulf of Mexico. The maps above show sea surface temperatures in the northern Gulf on August 23 and August 30, 2017. 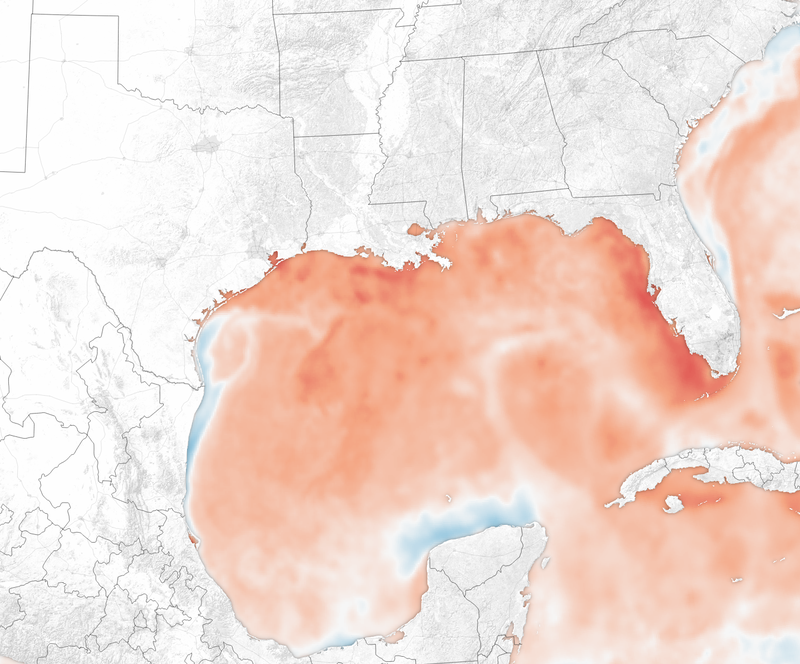 The data were compiled by Coral Reef Watch, which blends observations from the Suomi NPP, MTSAT, Meteosat, and GOES satellites with computer models. NASA Earth Observatory images by Joshua Stevens, using data from Coral Reef Watch. Story by Mike Carlowicz.